My knowledge on social promotion and digital growth strategies, packaged and professionally developed and compiled for your brand's success. You'll find a detailed listing of info products I've developed and launched to embody the results of my years of research, trial and error to shortcut your learning curve, and approaches through consistent optimization of my strategies that you can take and implement into your business to see massive growth quickly through the power of digital marketing and social media tactics. Whether you're a new brand, freelance entrepreneur on the come-up, or a seasoned specialist or executive at a larger company; after the shifts in the digital industry (and in every industry now needing to implement them), you need to know this stuff. Now, no matter what you're selling, you could hire out somebody straight out of college with their fancy degree claiming to be a social selling specialist and cross your fingers on top of spending $60,000 - $120,000 salary for them, or you could delve into the content yourself below through these offerings. You will become infinitely more valuable to your company, or the growth of your own business by knowing these tactics and tangible methods for client acquisition and brand awareness growth. You can have the best products or services on the face of the earth, but without effective marketing (now in the form of social media campaigns and intelligent content distribution), you'll never change a single life or generate a single sale through your venture. Marketing makes the world go 'round, as they say - and if you're the one to spin the globe, you'll be massively compensated. Freelance or otherwise. In "Social Media Success", I give you the foothold to launch your brand from intelligently. One of the biggest mistakes entrepreneurs or small businesses make launching their business, is neglecting the massive time, energy, and financial expense of getting their social media distribution wrong. Bypass the learning curve and position your venture for success from day one, learning how to grow and engage your audience successfully through this cheap, high-value ebook I've created for specialists just like you to explode their brands and hit the ground running. 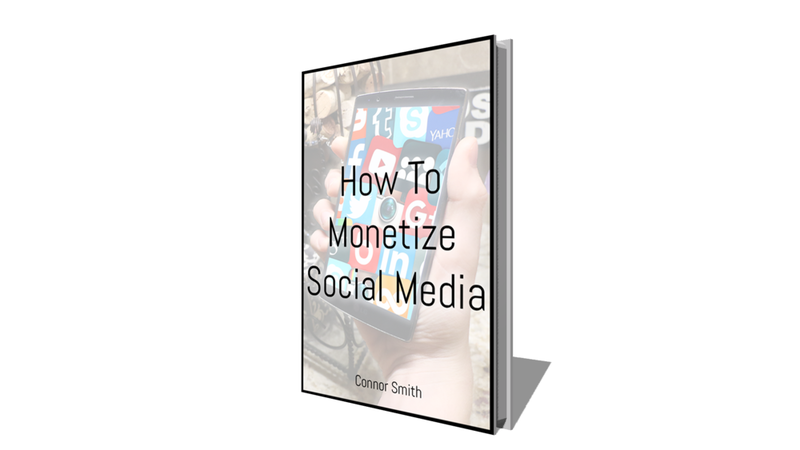 It's one thing to grow a social media following - it's another to monetize (make money with) it entirely. In "How To Monetize Social Media", I teach brands and individuals the top strategies for leveraging and generating profit from their social outlets, growing their service clientele or product sales signficantly through topics like Email Marketing Integration, Funnel Development & Optimization, Traffic Generation and Product Positioning, and much more. Click below to get your guide to every next step you'll take before making the money you've been working for building your audience this whole time, aside from the impact your products and services will make in your customers lives through these conversion tactics.